Placed in the levante (eastern) ligurian coast, Framura is located in the middle of one of the nice bays and inlets that distinguish that length of coastline. Mount Serro (421 m s.l.m.) is the highest top in Framura surroundings and rises amongst Cinque Terre (Five Lands) protected area, a region that has been listed since 1997 in Unesco World Heritage. The Municipality of Framura is split into five small villages: Anzo, Castagnola, Costa, Ravecca, Setta and it overlooks Mar Ligure from west and south: it is set about 55 kilometers west of La Spezia and 69 kilometers east of Genova. Framura economy is principally based on turism and tourism-related businesses. Great importance has always had commerce, tipically in family-run shops and businesses. By CAR - Framura is not directly reachable by motorway; the nearest A12 motorway exit is Deiva Marina. The centre of Framura is mainly crossed by strada provinciale 41 (provincial road 41) that allows connection to strada provinciale 40 in Deiva Marina town and the provincial road 42 of Reggimonti in Bonassola territory. By TRAIN - Framura has its own railway station on Pisa-La Spezia-Genova line, between Genova and La Spezia. The station, close to the seaside, is connected to highest Framura fractions (Setta, Ravecca, Costa) by a Bus service operated by A.T.C. 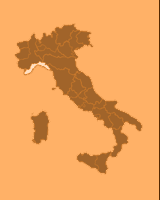 La Spezia. Costa is also connected by A.T.P. buses on route to Deiva Marina, Montaretto, Bonassola, Levanto and backwards. CYCLING - You can cycle to Framura following the cycling lane from the nearby Bonassola municipality; this lane is beset along the ancient railway line Genova-Pisa, whose track was moved in 1970 in a higher location, and ends in Levanto, spanning about 5 kilometers.